Norris High Students Making Alaska Connections. 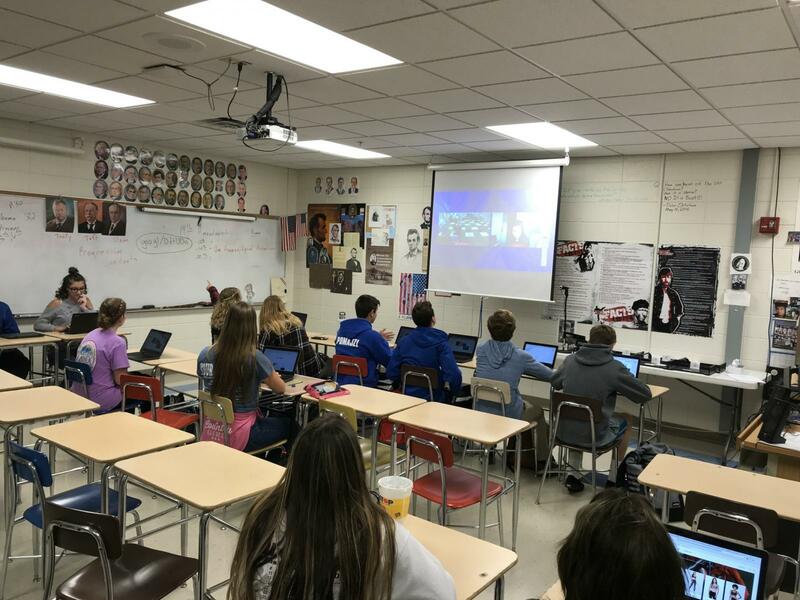 Student’s in Tom Allen’s Norris High School Government 1 classes are not packing their bags, but they are getting to meet and share with students in Alaska. As a part of their Government 1 class, students are connecting with students in the Soldotna Prep School on the Kenai Peninsula in Alaska. Established in 2014, Soldotna Prep serves all 9th grade students in the Greater Soldotna Area with the purpose of successfully transitioning students from middle school to high school. Soldotna Prep works very closely with Soldotna High School to provide a quality educational experience for their students. Mr. Allen's classes connected with Mr. Rob Sparks 9th grade geography classes at Soldotna Prep. Mr. Allen has known Mr. Sparks for 30+ years. Mr. Sparks grew up in Nebraska and as he noted in the video conference connection, is still a Husker fan. The two of them have been talking about doing this for several years and finally decided to give it a try this year. The students had prepared questions about geography, culture, history and a variety of topics. Students put together questions and shared their presentations prior to the video meeting. 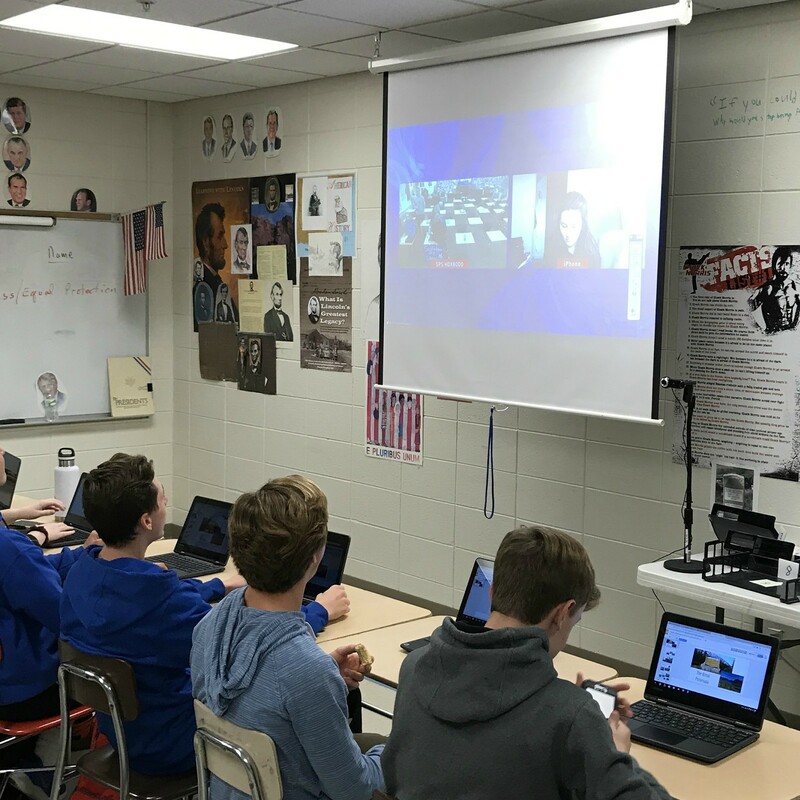 As a part of the video conference session, students in Mr. Allen’s classroom were able to pull up the presentation from the Soldotna Prep School school students and follow along on their own Chromebooks, Video conferencing and technology are great tools to enhance the curriculum within the classes. View the Kenai Peninsula students presentation here. 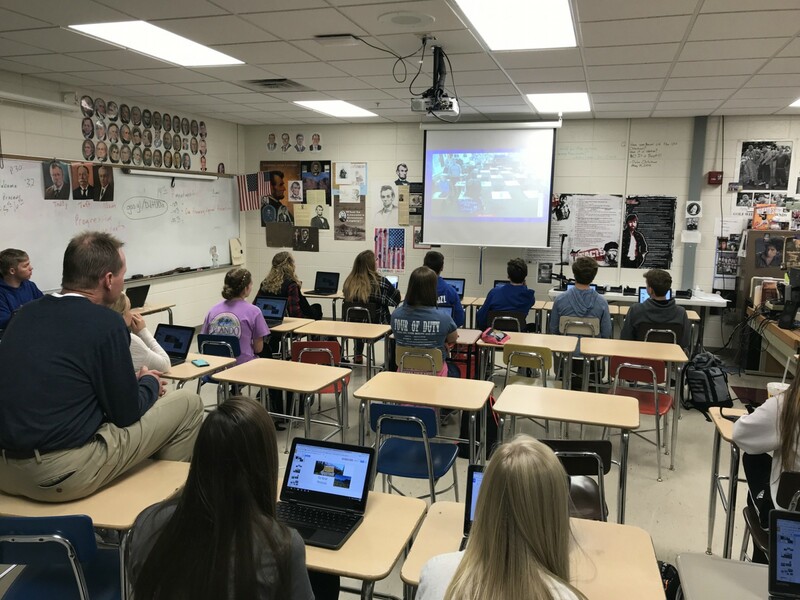 Mr. Allen is hoping to do more class projects involving connecting with other classes via distance learning.